It’s understandable to want to eliminate any cancer causing foods from your diet. However, finding out what those foods might be is complicated to say the least. According to one review, if you were to pick 50 ingredients at random out of a cookbook, around 40 would have existing studies associated them claiming an increased or decreased risk of cancer, and sometimes both. However, not all of these studies would be reliable, well-conducted, or replicable, meaning any perceived benefit or risk is likely overstated. In other words, simply looking at published findings is not as easy a way to find out what cancer causing (or cancer preventing) foods are out there. This is true despite the amount of past and ongoing research on foods causing cancer. To help illustrate this, here are a few examples of foods some have tied to an increased risk of cancer. 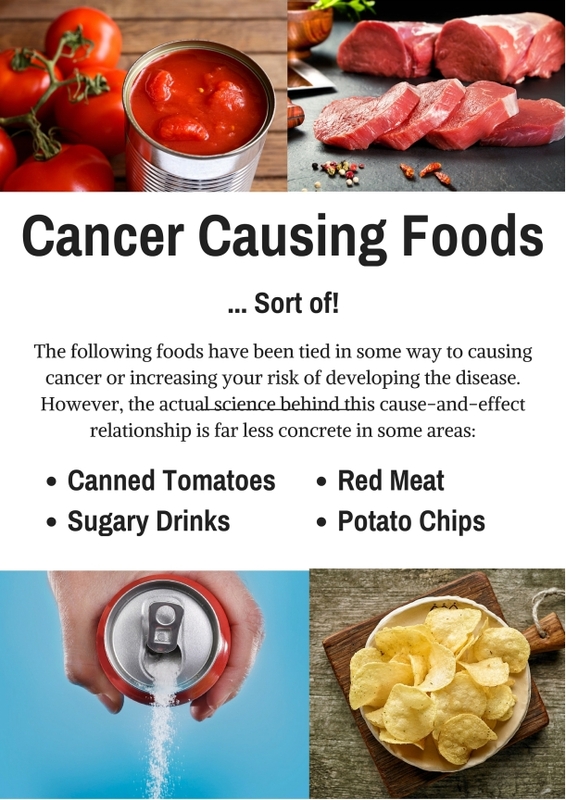 All of the following foods have been tied in some way to causing cancer or increasing your risk of developing the disease. However, the actual science behind this cause-and-effect relationship is far less concrete in some areas, and contradictory in others. As a result, these are not so much cancer causing foods to avoid as they are foods worth learning a little more about. You may have been warned away from canned tomatoes due to something called bisphenol-A (BPA), which is a chemical found in the lining of the cans and is used to prevent metal from leeching into the food. BPA is a known endocrine disruptor, may have links to breast cancer, and is banned from various infant products in the United States and Canada. There are also animal models that further show negative health effects, particularly in mammary development. From this, it can be easy to conclude that canned tomatoes should be avoided if you are worried about cancer causing foods. However, this is an oversimplification. In humans, only about 1% of any BPA that gets consumed ends up in the body in an active form. BPA that gets consumed is metabolized into an inactive (harmless) form and passed at a much faster rate than in rodents. When rodents were given BPA doses comparable to what humans get from their diet, cancer-associated risks couldn’t be replicated. In other words: yes, BPA can cause problems, but there’s no evidence it can happen in the amounts you get from canned tomatoes or other foods. As long as you don’t do something like licking the inside of the can, you’ll be fine. The standard chain of cause-and-effect for sugary drinks, or sugary foods in general, and cancer works like this: large amounts of sugar contribute to weight gain, insulin resistance, and high blood pressure, all of which can subsequently lead to things like obesity, diabetes, hypertension, and an increased risk of cancer. This is an extremely simplified view of how human biology works and ignores a great deal of confounding factors and other influences on weight, blood pressure, insulin, and cancer risk in general. Sugary drinks are only associated with cancer in a very indirect manner, so whether they’re worth avoiding depends on a host of other factors that are too long to get into here. 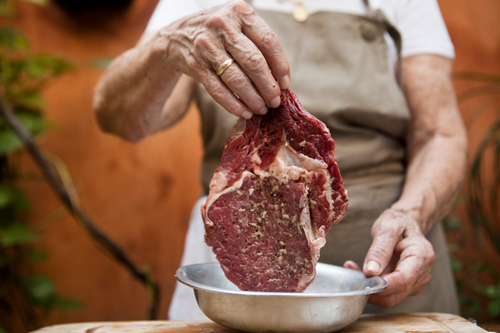 You may recall last year when the World Health Organization, through the International Agency for Research on Cancer (IARC), added red meat to the list of Group 2A carcinogens and processed meat to the list of Group 1 carcinogens. Scary stuff, but not an automatic reason to exclude either food. The risks were only found to kick in at around 50 grams (1.8 ounces) of processed meat each day or a potential risk at 100 grams (about 3.5 ounces) of red meat per day. Basically, unless you regularly eat meat in these quantities or more, there is no known appreciable risk. Potato chips are sort of a nexus of various health concerns. They are high in trans fats and calories, can contain artificial flavors and preservatives, definitely have a lot of salt, and sometimes contains acrylamide—a carcinogen known to also be present in cigarettes. However, the problem with this is that although there is acrylamide in certain foods, the amount humans ingest from their diet is around 500 times lower than what would be required to cause negative health effects. The salt and trans fat content has the same caveats as sugar—the chain of events (food to obesity/diabetes/plaque/etc. to cancer risk) is technically true but overly simplified and ignores other factors. Lastly, preservatives and artificial flavors and colors may be present, but in safe quantities. A key thing to keep in mind when assessing “cancer causing foods” is this cardinal rule of toxicology: the dose makes the poison. Almost anything can hurt you in too large an amount and even things that are absolutely considered poison can be completely harmless at small enough levels. Apple seeds, for instance, contain cyanide but you aren’t going to hurt yourself by eating them (unless you choke). Finding out that a certain chemical or substance is in a food is only the first part. The next steps are to figure out if it’s present at dangerous levels and how it’s handled by the body. Simply pointing to an ingredient list and declaring a food to be “bad” since it has “cancer causing agents” is overly simple at best and blatantly wrong at worst. As a means of cancer prevention, antioxidants do have a role to play. 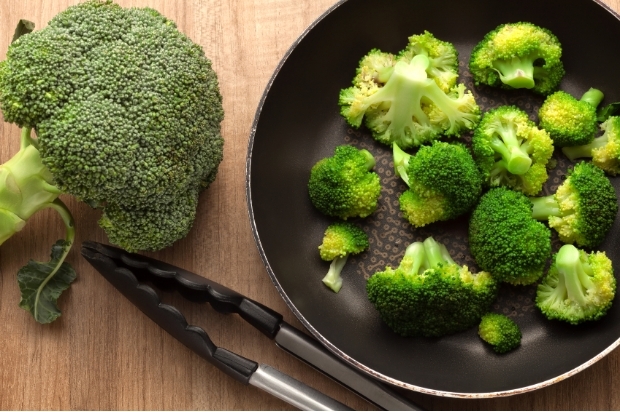 Antioxidant-rich foods include cooked vegetables, such as broccoli, cabbage, avocados, and asparagus. Broadly speaking, foods associated with cancer prevention are touted due to their vitamin or mineral content, antioxidants, or because they purport to do something about blood pressure or cholesterol. It’s important to get a regular intake of the vitamins and minerals your body needs in the amounts that it needs. This doesn’t change just because you’re talking about cancer. However, once a body’s needs have been met, things get less clear. In an otherwise healthy adult who doesn’t have any nutritional deficiencies or reasons for targeted vitamins (like folic acid when pregnant), extra vitamins don’t seem to have much of an effect on cancer risk. This has been shown by more than one review. In some cases, taking more vitamins than needed seems to actually increase cancer risk. Fortunately, reaching levels where negative effects kick in isn’t normally possible without taking supplements, so if you get your vitamins from your diet there’s no real concern. High-fiber foods such as oatmeal and oat bran can help reduce LDL (bad) cholesterol. Foods that purport to help manage blood pressure and lower cholesterol can translate into a cancer risk reduction in the same way that sugar or trans fat can be considered an increased risk (i.e., they may reduce the likelihood of something that’s a known risk factor). Again, although this is technically true it also overlooks a lot of intersecting factors. This doesn’t mean foods that can reduce blood pressure or cholesterol are worthless, in fact they can and do help when looking at just blood pressure or cholesterol, however any impact they may have beyond this is less clear. Antioxidant-rich foods include cooked vegetables (i.e. broccoli, cabbage, avocados, asparagus, etc.) The short form of how antioxidants work is this: cells produce free radicals as a result of their metabolism, free radicals can oxidize cells and cause damage, and this damage is associated with certain cancers. Therefore, as a means of cancer prevention, antioxidants do have a role to play. However, once a tumor actually forms, things get trickier. Tumor cells produce free radicals too, and their metabolism is much faster than a normal cell so they produce more free radicals than normal. These radicals, in turn, can damage the tumor (which is good) unless antioxidants sweep them up (which is bad). There is also some research suggesting that antioxidants can interfere with a tumor suppression gene. Sticking to a nutritionally balanced diet is a solid method for reducing your risk of cancer and maintaining overall health in general. Anything beyond that has less clear effects and possibly some risks. When dealing with your diet, especially if you’re worried about so-called cancer causing foods, it’s important to remember that moderation in all things is usually the best approach. Too much red meat or potato chips can cause problems, but so can going all-in on the antioxidants and vitamins. Fortunately, the human body is good at regulating itself and minor variances aren’t going to ruin you. So long as you stay smart and don’t go to excesses, you can keep your risk of cancer from your diet low. Le Gal, K., et al, “Antioxidants can increase melanoma metastasis in mice,” Science Translational Medicine, 2015; doi:10.1126/scitranslmed.aad3740. Fortmann, S., et al, “Vitamin and Mineral Supplements in the Primary Prevention of Cardiovascular Disease and Cancer: An Updated Systematic Evidence Review for the U.S. Preventative Services Task Force,” Annals of Internal Medicine, 2013; doi:10.7326/0003-4819-159-12-201312170-00729. Russel, R., “The Enigma of β-Carotene in Carcinogenesis: What Can Be Learned from Animal Studies,” Journal of Nutrition, 2004; http://jn.nutrition.org/content/134/1/262S.abstract?sid=0edce44f-27a0-42af-91dd-ca639294ede2. Schoenfeld, J., et al, “Is Everything We Eat Associated with Cancer? A Systematic Cookbook Review,” American Journal of Clinical Nutrition, 2013; doi:10.3945/ajcn.112.047142. “Bisphenol A (BPA): Use in Food Contact Application,” Food and Drug Administration web site, last updated February 5, 2016; http://www.fda.gov/NewsEvents/PublicHealthFocus/ucm064437.htm, last accessed April 25, 2016. “Q&A on the Carcinogenicity of the Consumption of Red Meat and Processed Meat,” IARC web site, October 26, 2015; http://www.iarc.fr/en/media-centre/iarcnews/pdf/Monographs-Q&A_Vol114.pdf, last accessed April 25, 2016. “FAO/WHO Consultation on the Health Implications of Acrylamide in Food,” WHO web site, June 2002; https://web.archive.org/web/20140407083715/http://www.who.int/foodsafety/publications/chem/en/acrylamide_summary.pdf, last accessed April 25, 2016. Moyer, M., “Antioxidants May Make Cancer Worse,” October 7, 2015; http://www.scientificamerican.com/article/antioxidants-may-make-cancer-worse/, last accessed April 25, 2016.